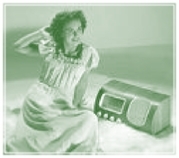 In that section, along with "real" curiosities, you'll also find just good radio moments from various parts of the world not always with ID's, but just for radio pleasure. After all, we should all agree that radio... is radio. ALGERIA AND IRELAND, with both presumably on night power at 750 and 60 KW respectively. ALG dominates the frequency with a massive signal against I would say, a good performance from IRL nonetheless. NEW. CANADA, CHLN 550, Trois-Rivières, QC frequency migration loop message to 106,9 MHz in French. That was rolling for about two months before definite closure of their AM at the end of January of 2008. A kind of personal tribute after 71 years of service on AM, I didn't found anything about that historical event on their website!! COLOMBIA + CUBA + USA on 770 KHz during 2006 mid-December aurora. Cuba CMKB Radio Rebelde with usual baseball game announcer mixed with WABC New York for the first minute then suddenly, Bogotá Colombia HJJX dominating the channel with ads giving a phone number for Bogotá and another one for the rest of the country followed by an ID "RCN" I guess. CUBA OVER WABC at 770 KHz. Interesting again here how strong Radio Rebelde is over WABC and how rapidly it fades under the New York station ending the clip. ..These days, the K index is not so favourable here for TAs neither for Latin Americans except around mid-week where there was a little more of those. Last December, during an important solar disturbance leaving us to auroral conditions and good openings from the south, among my recordings, I had one of TWR transmitting from Bonaire in the Netherlands Antilles that just pushed semi-local CHRC, 50 Km NE from my home QTH. Last Wednesday, I've recorded the two stations under the same conditions. Due to CJAD in Montreal who share the same channel with CHRC, they use almost the same directional pattern in opposite directions to stay clear between each other. The two stations work with 50Kw except for CJAD with 10Kw nigh time. There is about 250 Km between Montreal and Quebec City. I'm just on one side between the two lobes of CHRC where the gain is reduced. Bonaire stays at about 3500 km from here. So, taking advantage of the low gain of CHRC towards my receiving antenna, the 3500 Km TWR is just beating the 50 Km CHRC! There is no treatment with phaser on these catches. All was done with the bidirectional 110 meters NE-SW beverage. I have two recordings. One from last January with a nice ID "Radio Trans-Mundial" over CHRC John Lennon's song "Woman". The other one is from last Wednesday, Spanish talk about Bible and Jesus over French newscast by female announcers. I've joined a map of the CHRC coverage compare to my home QTH. Listen to this other recording this time from April 7th 2010 where TWR wins again. GERMANY, DCF77 Time signal. On longwave (VLF?) at 77,5 KHz. Jürgen Bartels invited me to give a try on that channel. At my very lucky first time, this is what I've heard. I started on 77 KHz USB then "zero beat" to 77,5 KHz and went back at 77 KHz. Here, another clip from September of 2008 with Perseus in CW and summer African 88° beverage. GERMANY + ALGERIA, on 1422 Khz with an interesting mix of DLF and Radio Coran. This is amazing to hear how each station program are combining in a great signal strenght exchange. Here’s another example how both station are received at equal strenght while exchanging roles. 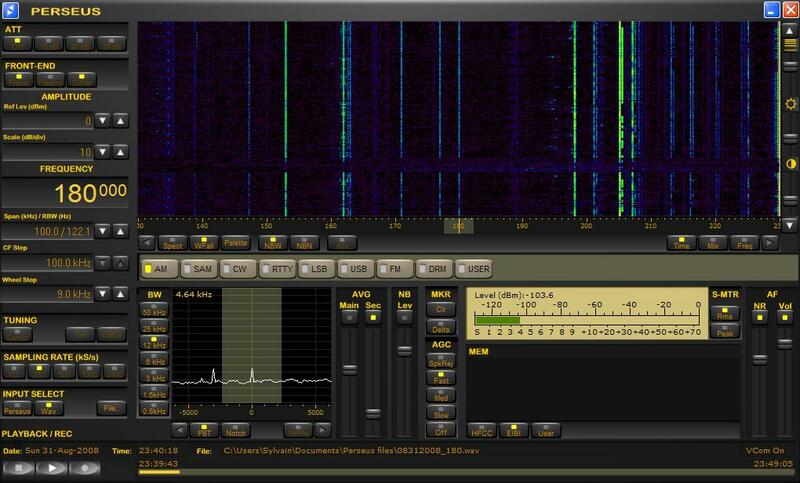 IRAN, Voice of the Islamic Republic of Iran at 7235 KHz. I decided to add it here in DX curiosities just for the ID "Voice of justice". In my opinion, you could easily compare this station with a couple of those US shortwave religious content oriented radios. IRAN, IRIB World Service in Arabic on 1080 KHz exchanging seats with semi-local powerhouse WTIC and its IBOC hiss. IRAN, Radio Iran / Iran jammer / UAE Radio Farda nicely mixed on 1575 KHz by Mother Nature. Iteresting to hear the Iranian jammer (11-28-2013 2:38). IRELAND, Shannon Airport Volmet at 8957 KHz announcing the arrival of a volcanic ash cloud. Now, we all know the whole story of Iceland's Eyjafjallajokull Volcano causing that enormous flight chaos especially in Europe for weeks in the Spring of 2010. The clip was recorded in Germany by Olaf C.Haenssler; Thanks Olaf! KUWAIT & MOLDOVA at 1548 KHz with an interesting fight between Radio Sawa and Voice of Russia. LIBYA, on 1449 KHz now Voice of Free Libya with a special program aired shortly after Kadhafi’s death. You can feel the high level of enthusiasm by the speaker voice. ROMANIA on longwave at 153 KHz. Quite a seldom catch here. So here's a version with folk music. This a larger version of the clip found on the European dx files page. SWEDEN & ROMANIA at 1179 KHz. Sweden was weaker than usual. Listen how Romania took advantage mixing in strong. TURKEY (most likely), 180 KHz. This time with audio. Longwave was strong on that late August night even with the African Beverage only as a TA antenna. Have a look at the Perseus window showing clearly a carrier on that frequency. UNITED KINGDOM - RUSSIA, Absolute Radio and Voice of Russia in a natural mix on 1215 KHz with a surprisingly good signal. Here's another shot with Russia signing off. UNITED KINGDOM - ROMANIA with South Asian 14-58 AM and Romania Actualitati on 1458 KHz in the mix battling for the first place. UNITED ARAB EMIRATES + IRAN, battling here on 1575 Khz during a massive opening on Halloween night of 2012 where 17 Iranian stations were logged here at my QTH. VENEZUELA, YVMN Radio Coro, 780 KHz. At mid-December 2006, during auroral conditions, a 3900 Km steady cut with ID around minute three. Just a nice radio moment for eight minutes. On DX forums, I remember having red "...another good night for Radio Coro". It was literally blasting all over the place!